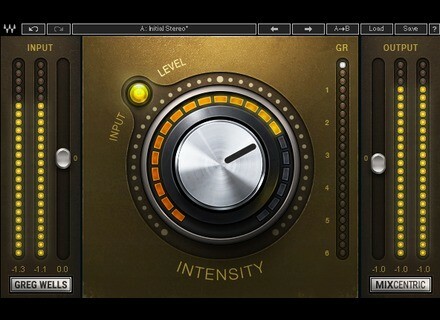 Greg Wells MixCentric, Other effects bundle or multi-effect from Waves in the Greg Wells series. After VoiceCentric and PianoCentric, Waves has released its third Greg Wells signature plugin - as well as the assorted bundle. 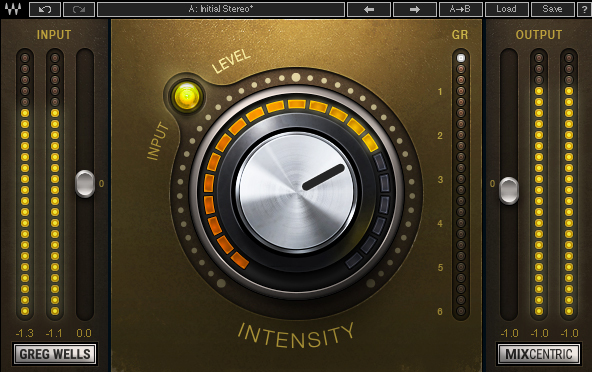 Described as an easy-to-use and intuitive plugin aimed at putting a finishing touch on your mix, Waves' Greg Wells MixCentric is said to internally use EQ, compression and harmonic distortion which can be applied on any master buss or group to enhance and balance the overall tonality of the mix. Hence, combined with a limiter, it is claimed to bring any mix up to par with fully mastered and released material - all this with a single knob. For those who only trust their ears, the usual time-limited demo version is available. Announced at an MSRP of $199, the MixCentric plugin is available now at the introductory price of $149. Waves has also released the Greg Wells Signature Series bundle, which includes the VoiceCentric, PianoCentric and MixCentric plugins. Announced at a regulat price of $349, the bundle is currently available for $299. More details available at www.waves.com. Noisebud releases Chokidar EQ Noisebud has released Chokidar EQ, a five-band processor which also happens to be the swedish developer's first equalizer plugin. Today's weekend deals at Waves This Sunday, Waves offers discounted prices on two plugins and a bundle. How to archive your finished DAW projects for future recall In part 1 we looked at a backup strategy for preserving your active and recently active recording files. But what about archiving them when you’re finished? In part 2 of this 2-part series, we’ll talk about the best ways to archive your projects efficiently, and future proof them as much as possible.